Did Miami Beach Mayor Go Too Far in Double-Parked Trucks Crusade? Anyone who drives the narrow, crowded streets of South Beach knows well the problems created by double-parked vehicles, especially by bulky delivery trucks. The city commission last July enacted an ordinance requiring delivery truck owners to buy permits before being allowed to use spaces set aside for them to load and unload. 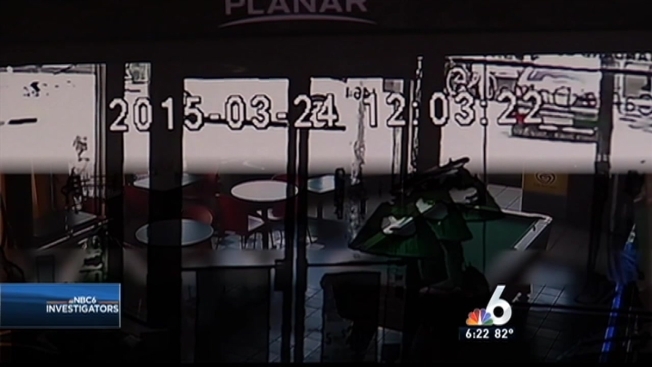 Still, Mayor Philip Levine told NBC 6 Investigators, the problem persists. “We’re seeing these 18-wheelers double parking on our main streets. They’re ignoring our ordinances and the quality life of the people living here has been dramatically affected by it,” Levine said. Now, the mayor’s war on double-parking is pitting the city against drivers for one of its biggest corporate sponsors: Coca-Cola, which pays the city $4 million over 10 years to be the official soft drink of Miami Beach. In March, police arrested one Coca-Cola delivery truck driver who refused to show his driver’s license after he was going to be ticketed for double parking, charging him with resisting an officer without violence. Three weeks later, it was the mayor himself who helped police cite another Coca-Cola truck that was double parked. Powerful as he is, the mayor cannot issue citations himself; police officers must see an infraction themselves before they can cite a truck. So if the truck Levine spotted double parked around noon on March 24 in the 1500 block of Washington Avenue drove off before police arrived, police could not issue a citation. Surveillance video and police radio and dispatch recordings reveal a private security guard who works for the mayor and commission called in the incident. Two police cars quickly responded with emergency lights flashing, while a police captain was clearly aware the mayor was on the scene, asking a subordinate at one point if the mayor had yet left. What happened next is unclear because, since NBC 6 Investigators started asking questions, Coca-Cola shut down all communications on the incident -- declining to answer any questions about it -- and Miami Beach Police refused to comment or make available for interviews officers who witnessed the encounter. But three Coke drivers told NBC 6 Investigators the driver who was allegedly confronted by Levine claims the mayor entered the truck’s cab and took the keys, disabling the truck until police could arrive and issue the $33 citation. Local blogs, including Random Pixels and a bulletin board frequented by police officers, questioned whether those actions by the mayor, if true, may have crossed a legal line. When we tried to ask the mayor himself about his actions, he did not deny taking the keys – he deflected. “What I do all the time is…” Levine started, before being reminded by a reporter that the question was about what he did specifically on that day. Levine would neither confirm nor deny the action. As for the concern about double-parked trucks, we did find one Coke truck parked illegally, blocking the only lane of traffic on a sometimes busy street. But there were no signs of a citation being issued, or of an angry mayor taking the keys. That truck was making its delivery to Miami Beach City Hall. In addition to the $4 million Coke pays the city, it’s required to supply the city with 450 cases of free Coke products every year.